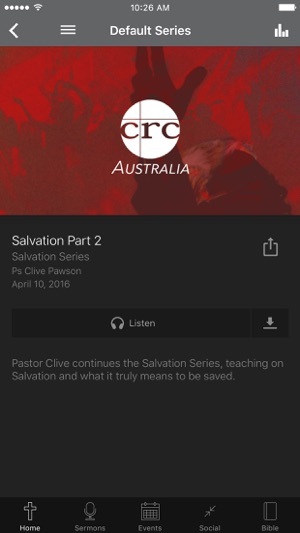 Welcome to the official CRC Australia App. - Mend the Nets, the catch will be great. To train and release every member for ministry, caring for, discipling and evangelising our community. 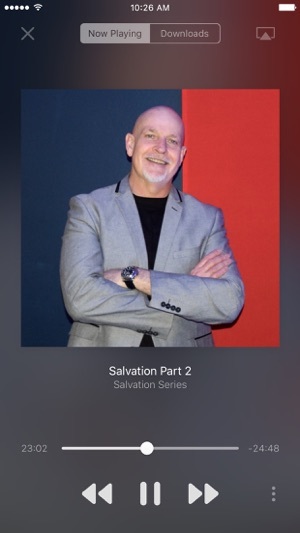 This app is your one stop destination to access our sermons, all our event information, social media links and it even has a daily Bible reader. Download it on all mobile platforms today! Wifi internet is required for devices without mobile data. 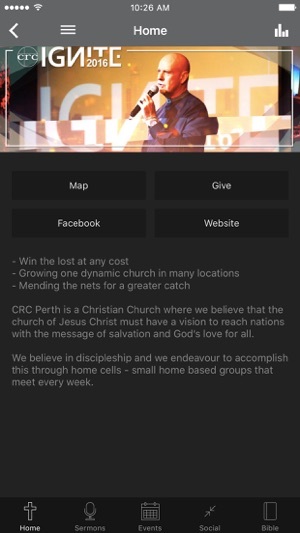 The CRC Perth app was developed with the Subsplash App Platform.